Hsiao-Han Chang is a Research Associate at the Harvard T.H. Chan School of Public Health working with Marc Lipsitch and Caroline Buckee. Before coming to the Center, Hsiao-Han was at the department of Organismic and Evolutionary Biology at Harvard University, where she obtained her PhD with Daniel Hartl and John Wakeley. Her doctoral research focused on genomic variation and evolution of the human malaria parasite Plasmodium falciparum. She is very interested in applying population genetic tools to pathogens and linking the results to infectious disease epidemiology and control. 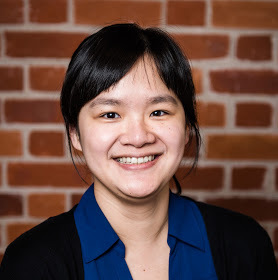 Her malaria work includes inferring migration patterns across geographic scales, developing statistical tools to elucidate infection history, and modeling the impact of heterogeneous duration of infection on selection efficiency. In addition, she is designing serodiagnostic tools for Zika virus, and studying natural selection and population structure of dengue virus and MRSA.